What you feel when you find that due to reckless hair loss you are slowly getting the baldness indication? Isn’t it traumatic? 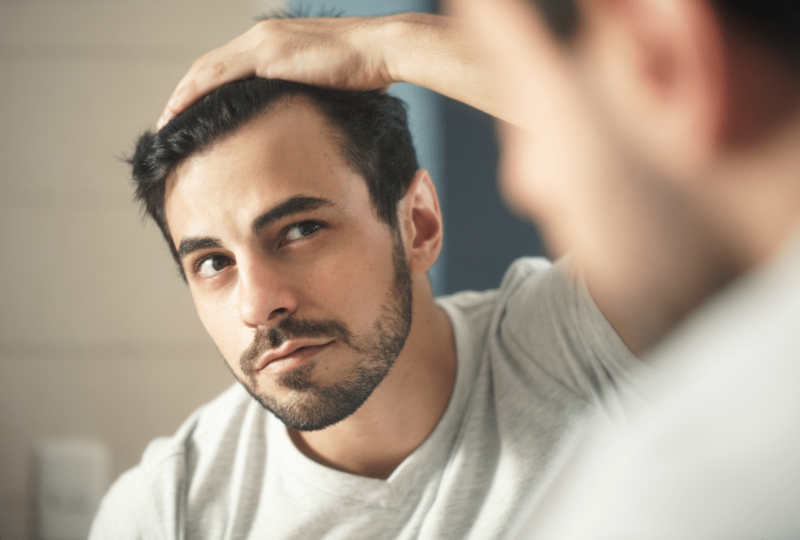 We know that hair plays a vital role in our personality development but if you are going through with unremitting hair loss problems , you need to figure out the root cause. You shouldn’t worry about but concern about it. Here we have collected comprehensive do’s and don’ts if you are suffering from hair loss. It will ma+ke you aware that what should be the best remedy to get rid of these problems. Well sometimes hair loss is genetic, sometimes, it can be the reason of your lifestyle, diet, bad habit and all that, so don’t panic at all , you need to consider hair loss treatment from a renowned clinic, where a hair restoration expert will accurately diagnose it and treat it carefully. Don’t worry excessively but also don’t take it lightly, poor diet, stress can be the reason of hair loss, sometimes if you maintain your deist and remove stress, it works and hair growth resume to the normal level. Still you are not finding the results, and then better to consult renowned alopecia doctor for best solution. Not washing hair due hair fall fear will not make a difference. People who avoid washing hair even increase the problem, because unwashed hair developed as the shed and uncanny hair, which eventually become weak. It is ideal to wash your hair with gentle shampoo or medicated shampoo every 2-3 days. Using conditioner after wash is also recommended. Stop using chemical in your hair. People generally use hair wax , gel and other chemicals to make their hair shiny and elegant, but these are not good for hair health. Using these products in your hair can make your scalp dry and it will eventually make your hair weak. The best way to abandon from this issue is to take an appointment with hair transplant clinic in Delhi and Advance Clinic is the best ideal place for that. Remove stress. Stress is the main cause of hair fall, so try to be calm, stable and tension free. Do yoga and meditation to keep you fit and healthy, as it will effect positively in hair health. Main a good diet chart- Our eating bad habits are also responsible for hair fall, so add vitamin, mineral and nutrients in your diet that consequently give strength to your hair. Keep Short hair style – Long hair is difficult to care and it will shed the area of growth in the scalp , so keeping your hair short will help your hair to grow gradually. Make your hair dry softly- We generally rub towel in our hair roughly which weakens hair strings and follicles, so always dry your hair with towel gently. See the Professional hair restoration expert- Well, nothing is best than getting consultation and treatment from the professional and certified surgeon. Advance clinic has gained a name in hair transplant clinic in Delhi and we are here to solve all your hair related issues.